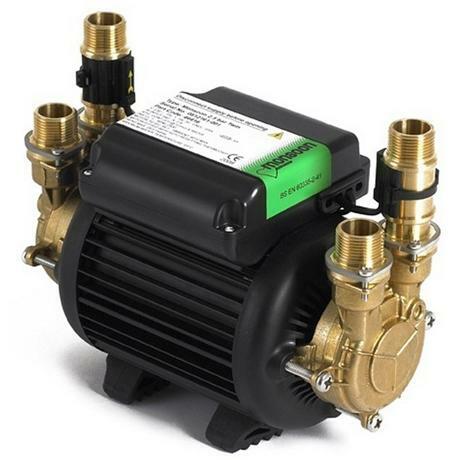 Monsoon is a range of high performance brass pumps specifically designed to meet the demands of the power showering and home water pressure boosting market. The Monsoon Standard Twin pump is designed for installation into vented systems to pump both the hot and cold water supply, boosting both equally. They can be used to boost hot and cold water services to the complete home, bathroom, kitchen or cloakroom or boost hot and cold water supplies to a high performance shower system.